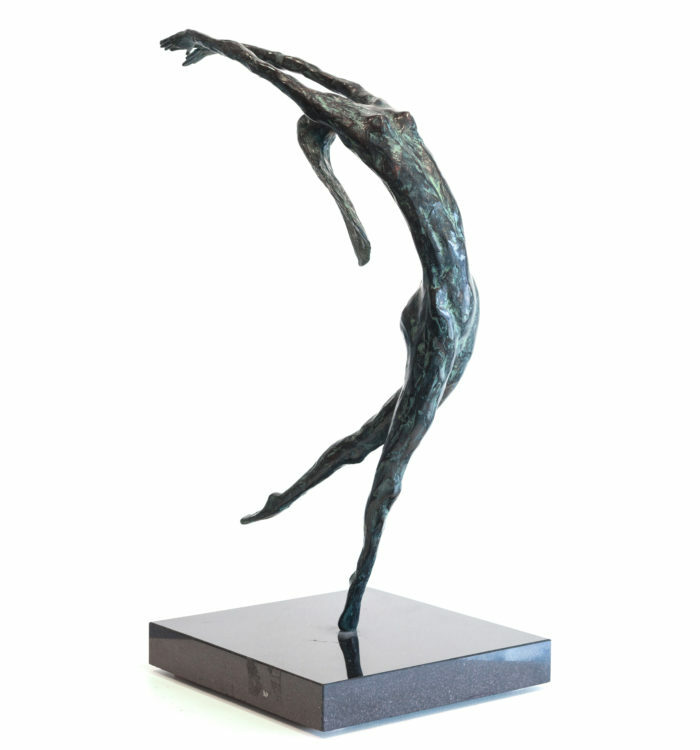 Dynamic and animated, Don Wilks’ joyous sculptures bring out the unexpected humanity of bronze. 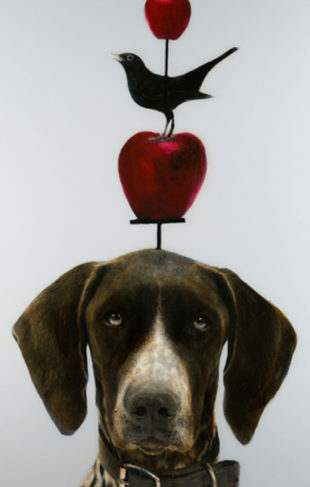 The artist’s love for the human figure is evident in his expressive body of work and in his creative process. In a conversation with our galleries, Don Wilks gives us deeper insight into his inspirations and his evolution as an artist. DW: I am a bronze & glass figurative sculptor, working in clay and or wax and casting my pieces in bronze, glass and leaded crystal. I have always been intrigued by the beauty, flow and elasticity of the human body. To see a figure bend, stretch, pull and twist is a true wonder of nature that has always stimulated my imagination. 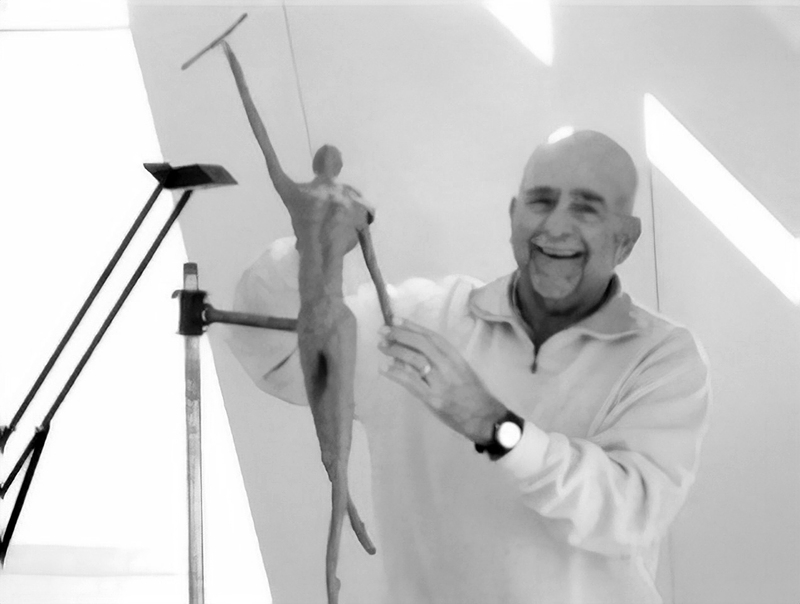 DW: In my earlier years as a sculptor, I was privileged to come under the tutelage of Frank Eliscu. He was an internationally known sculptor who has many important municipal, commercial and private commissions to his credit, notably the Heisman trophy. I have studied at the Museum of Fine Arts School in Boston and I am a longstanding member of the National Sculpture Society. DW: All of my pieces try to achieve motion as the core value. This technique was taught to me by Frank Eliscu. My eye is always on the lookout for interesting positions, shapes and movements especially in Ballet and Modern Dance. DW: I mainly do my work in an outdoor studio overlooking the sea in Martha’s Vineyard. 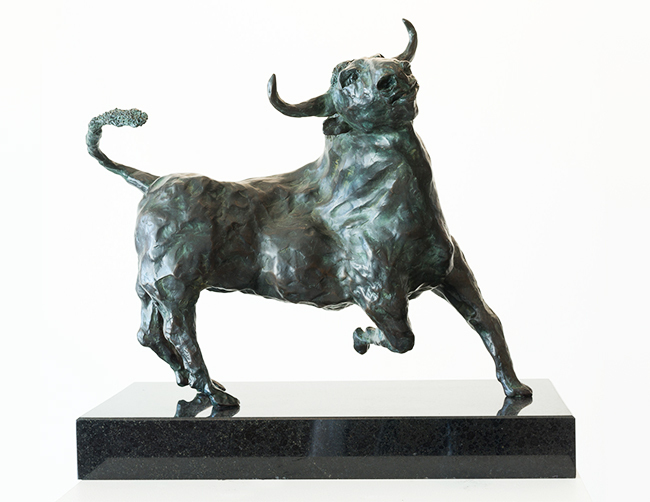 Each of my pieces is cast at the renowned Bronzart Foundry in Sarasota, Florida..
To view Don Wilks’ work in person, please visit the gallery nearest you.